Ever had Hemp Seeds? Well, hemp seeds are super tasty with a mild nutty flavor which I find delish! Plus, hemp seeds are considered a SUPER FOOD! They have lots of health benefits including: proteins, omega-6 and omega-3 fatty acids, vitamin A, E and D, and many B vitamins. They are also rich in calcium, dietary fiber and iron. So, I decided I wanted to try and create a dinner that had this super food in it. 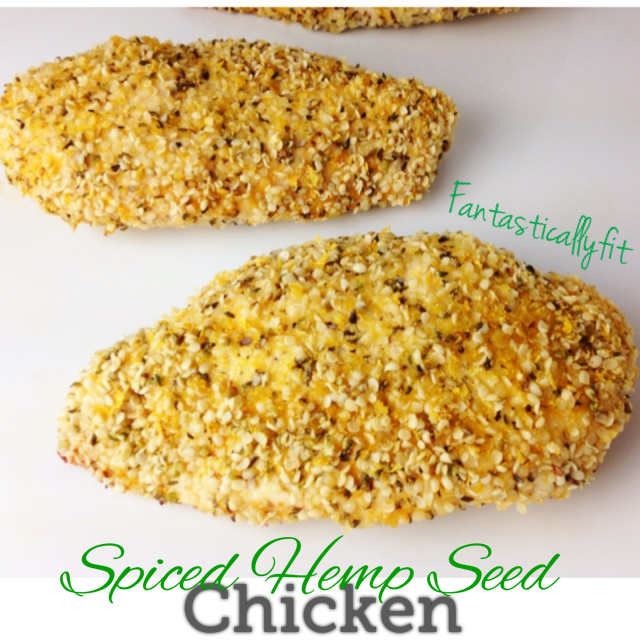 This is how I created the Spiced Hemp Seed Chicken. I love the nutty flavor of the hemp seeds paired with the spices. Yummy! Mix together all the ingredients and place in a shallow dish. 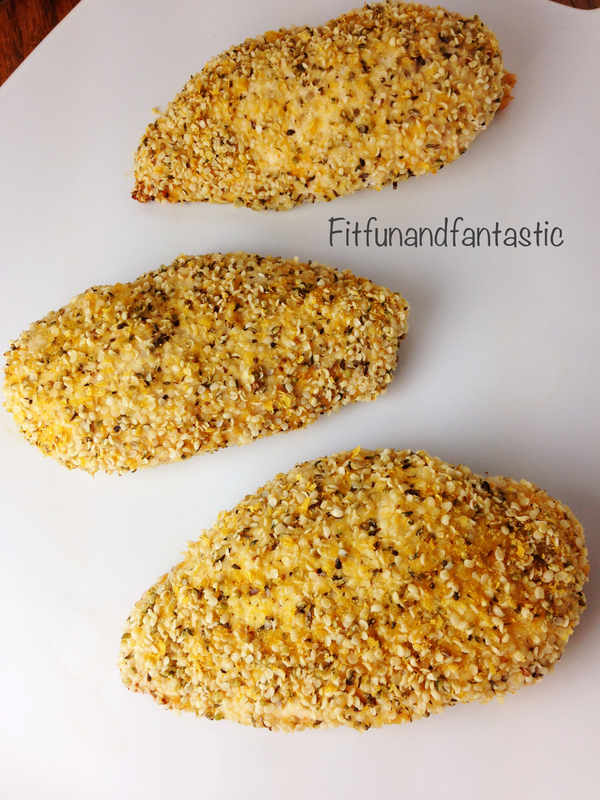 Then roll each chicken breast on both sides in the coating mixture.